The Prince George Cougar Hockey Club is pleased to announce that 1997-born forward Jansen Harkins (North Vancouver, B.C.) has signed a three-year entry level contract with the NHL’s Winnipeg Jets. 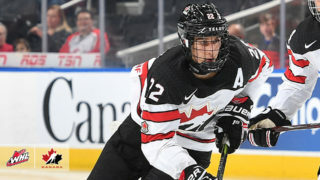 He was selected by the Jets in the second round (47th overall) in the 2015 NHL Draft and will spend the remainder of this season with the AHL’s Manitoba Moose. 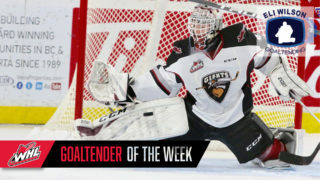 Originally selected by the Cougars second overall in the 2012 WHL Bantam Draft, Harkins recently completed his fourth season with the Cougars. 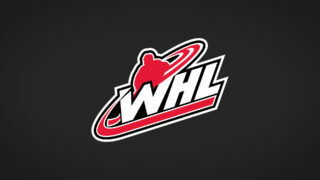 In 275 career WHL games, Harkins registered 75 goals, 167 assists and 242 career points. 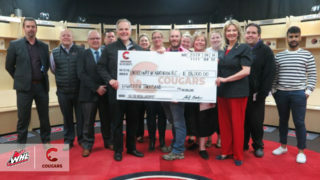 He became the Prince George Cougars all-time assists leader on January 28th in Edmonton, and the all-time points leader on March 4th at home against the Kamloops Blazers. He added four goals and 12 assists for 16 points in 15 career playoff games. He led the Cougars in scoring this season with 21 goals and 51 assists in 64 games and earned the Troy Bourke Award for the Team’s Top Offensive Player. Internationally Harkins has represented Canada three times having captured a gold medal in the 2014 Ivan Hlinka Memorial Tournament, a silver medal at the 2013-14 World Under-17’s (Where he served as captain of Team Pacific), and a bronze medal during the 2015 World Under-18’s. 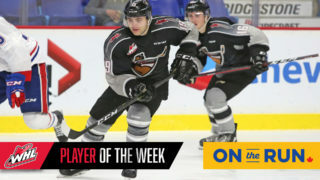 In each of the past two seasons he represented Team WHL in the Canada Russia Series and scored three goals while adding one assist in four games. On November 7th, 2016 he was named Player of the Game for Team WHL in Game 1 of the series which took place in Prince George. Professionally Harkins dressed in six games last season with the AHL’s Manitoba Moose where he scored a goal and two assists and finished a +1. The Manitoba Moose are next in action tonight and tomorrow night at home against the Tucson Roadrunners. Read the release from the Jets HERE.